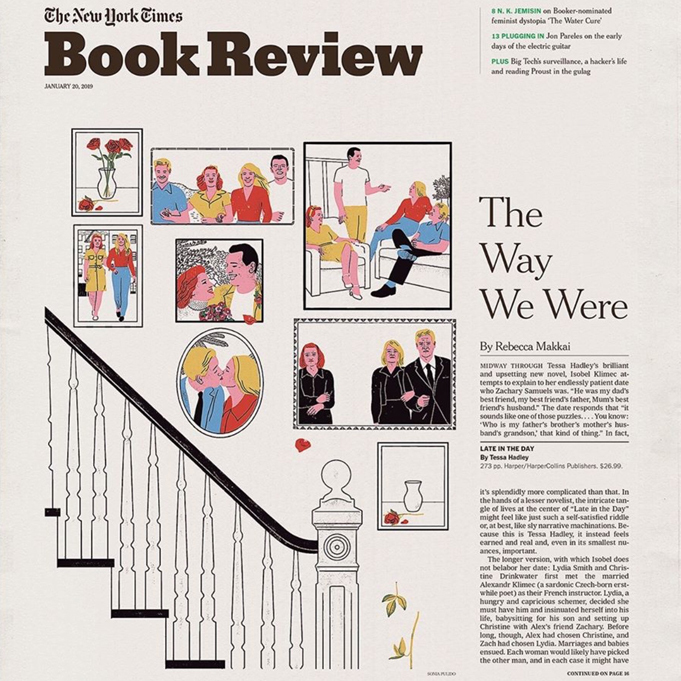 Cover illustration for The New York Times Book Review. A sudden death shakes loose four intertwined lives. “Late in the day” by Tessa Hadley, review by Rebecca Makkai.